Captain Marvel shined again at this weekend's box office, bringing in $189 million worldwide and taking its total earnings to $760.2 million after just ten days in theaters. China is Captain's top overseas territory, having generated $132 million so far. Behind that is South Korea with $36.5 million, then the UK at $30.9 million. The next two biggest markets are Latin American giants Brazil and Mexico at $24.3 and $22.4 million apiece. Captain Marvel made $69 million in the US for Disney and is now its tenth highest earner in partnership with Marvel Studios at $266.2 million and climbing. Moreover, Captain Marvel has erased any remaining doubts that a female-led action movie can be a blockbuster success. It's now passed Wonder Woman's total foreign run of $412 million and is closing in on Warner Bros. and DC's ground-breaking $812 million worldwide benchmark from 2017. In the US the biggest opening and the most ambitious of the few films who gambled a launch against Marvel this weekend was Paramount's Wonder Park. It made $16 million at home this frame, finishing second, and another $4.3 million abroad including $1.7 million in Brazil. The rest came from a handful of smaller markets. Wonder Park is about a girl who finds a magical theme park staffed by talking animals in an enchanted forest and tries to save it from years of apparent neglect and decay. In real life, it's far from out of the woods. Paramount, who made the film with their in-house animation division as well as partner studio Nickelodeon Films, spent around $100 million before P&A on this feature. 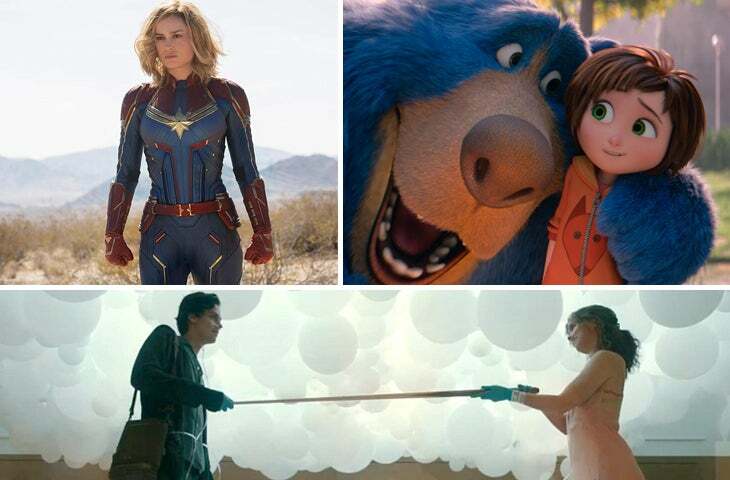 Bigger overseas openings scheduled in the next month and a half will boost sales, but there may not be enough space for a movie like Wonder Park in its currently scheduled release window. Captain Marvel is on course to take the lion's share of global receipts for the rest of the month and Dumbo is almost certain to do the same, especially in the family market, for most of April after it opens the Friday after next. Next on the domestic chart, in third place, teenage feel-good drama Five Feet Apart opened with $13.15 million and was a surprising hit for CBS Films and distributor Lionsgate. Five Feet is about two young people with cystic fibrosis who meet and fall in love in a hospital world. The film's title comes from the medical consensus that people with the disease should maintain a buffer zone between each other because they are likely to exchange the various different lung infections that they frequently suffer as a result of the condition. Lionsgate partnered with the Cystic Fibrosis Foundation in promoting the film, but that has not prevented criticism from several advocates for sufferers of the disease who characterized the film as a cash grab that misconstrues many medical realities. Next week, Jordan Peele's Us, his second film behind the camera after 2017s breakout debut with Get Out, opens in domestic theatres. US stars Lupita Nyong'o and Winston Duke and is about a family who is terrorized by a group of doppelgangers trying to kill them and take their lives while they are on vacation in Santa Cruz, a quiet Northern California resort town.